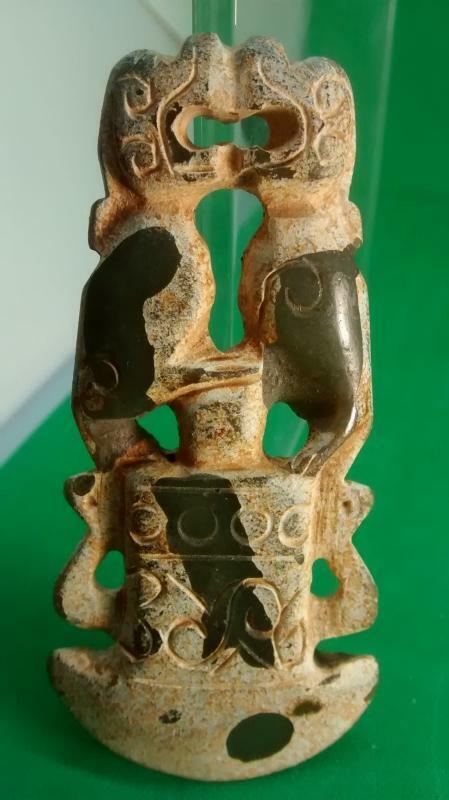 A nice Easter Zhou Dynasty (770-221 BC) Pendant made from Jade and calcified stone. 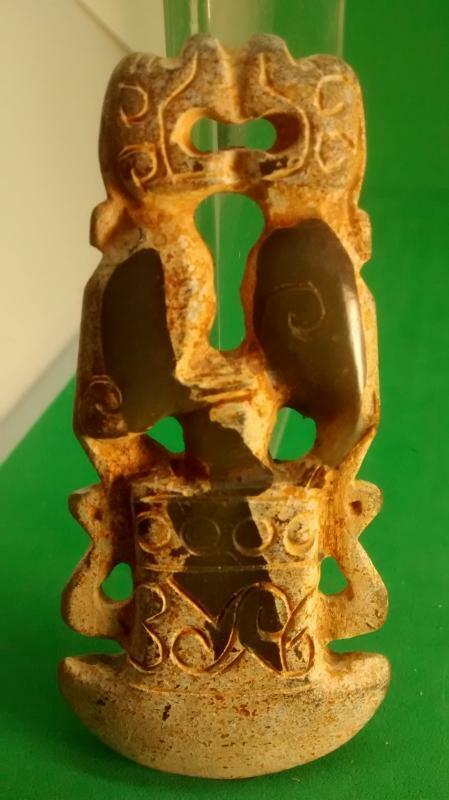 This piece is approx 3 1/8 x 1 3/8 x 1/4 inch in size. 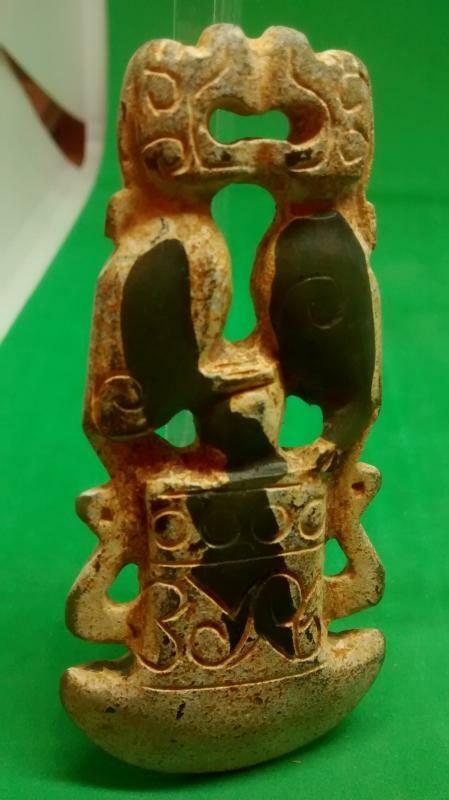 It shows two Phoenixes face to face above an axe. you'll be proud to wear this historical pendant.